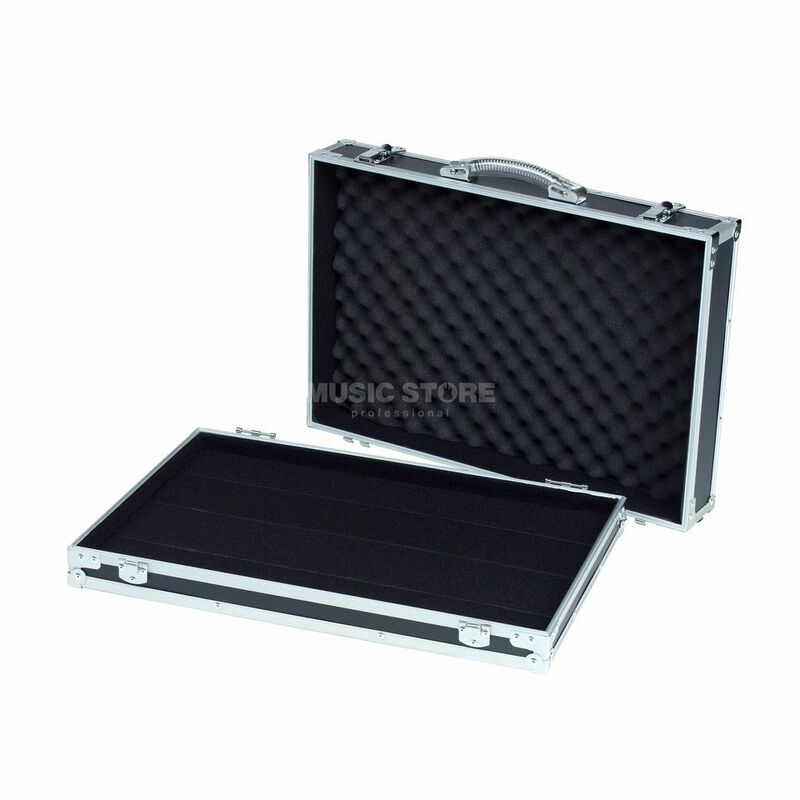 The Rockcase RC23010B offers a convenient way to take all of your effects pedals to every gig. Solid, road-suitable aluminium Effect Pedal Case. The interior is a plywood cabinet, covered in velcro to keep your pedals firmly in place and not moving around when your on the move yourself. Self-adhesive velcro tape is included. If they do mangae to get loose, the lid is covered with convoluted foam, so nothing will get damaged. The two clasps keep the case securely shut. A very useful thing in the arsenal of any musician! Especially when transtportirovke instruments effects pedals and wires. Can not be afraid of their damage. Two in one - case and pedalboard. Use to carry Line 6 HD 500X. Sturdy build and good interior padding. It's perfect for effect pedals although I purchased it for a voicelive2 and a volume pedal 'cause they fit great in there. Great product for a first pedal board! A lot of space, easy to carry around, and very intuitive, pretty much, open it and and just start using it! The only thing that is not so good, but not that important is the fact that the tag "Rockcase" comes out pretty easily, it came of on mine, but other than that go for it!